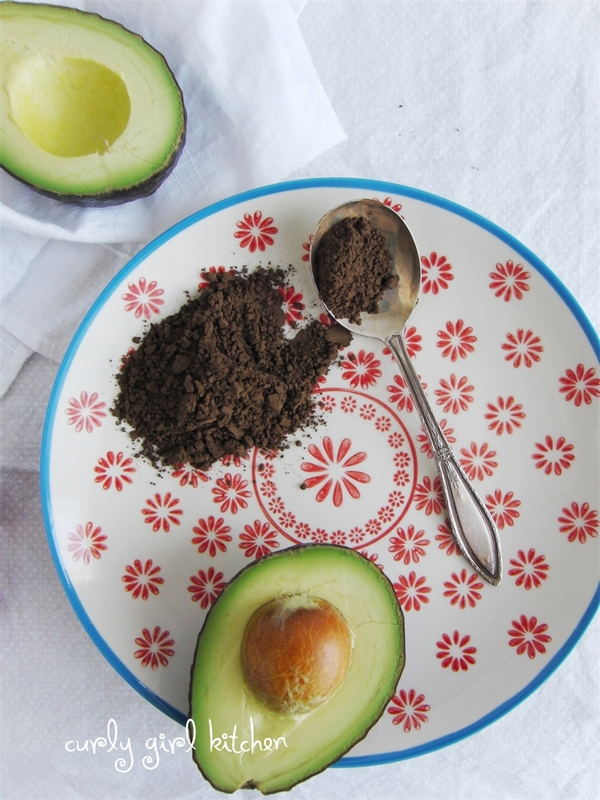 You all know by now how I love my smoothies, and I have a new one for you that's a little surprising... with avocado in it! Over the years, I've been leery of chocolate dessert recipes that call for avocado and claim to be the best chocolate pie, cake, pudding, etc... they've ever tasted. And I haven't gone so far as to put avocado in a chocolate pie yet, because, well, I like my chocolate pie traditional. Who knows, though, I may try it one of these days. However, I decided it could be worth trying in a smoothie. 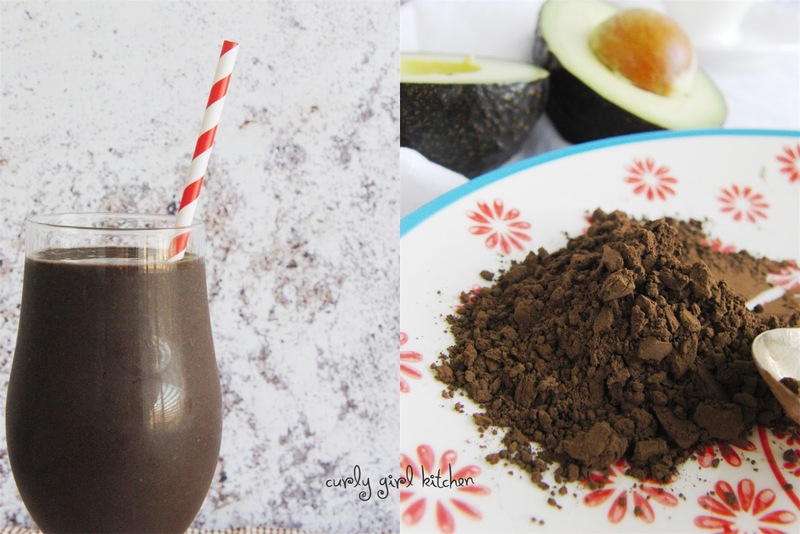 I love Hershey's Special Dark cocoa powder, because it's extra dark and chocolatey, and if I hadn't told you that there was avocado in this smoothie, I don't think you'd even suspect when you tasted it. I used coffee ice cubes in mine, and between the coffee and the extra dark chocolate, it was a tiny bit too dark and bitter, so I added two strawberries for sweetness, which was just the right amount for my tastes. This is so smooth and creamy, very rich and chocolatey tasting, like a thick chocolate milkshake, but so, so good for you with lots of protein and healthy fat, and very little sugar. It's one of my new favorites! 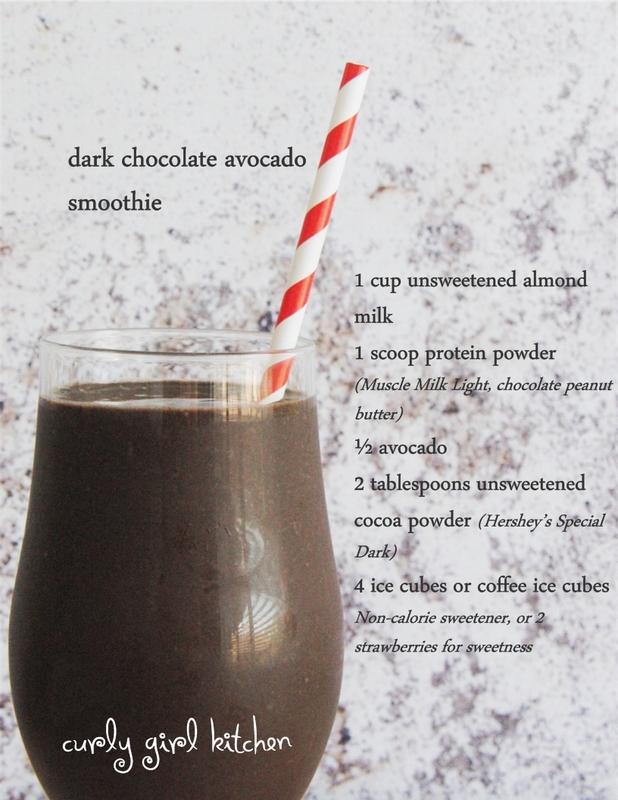 Note: If you find cocoa powder too bitter, you can add a non-calorie sweetener to the smoothie. I used coffee ice cubes, and added two strawberries for sweetness to counteract the bitterness of the coffee and dark cocoa.